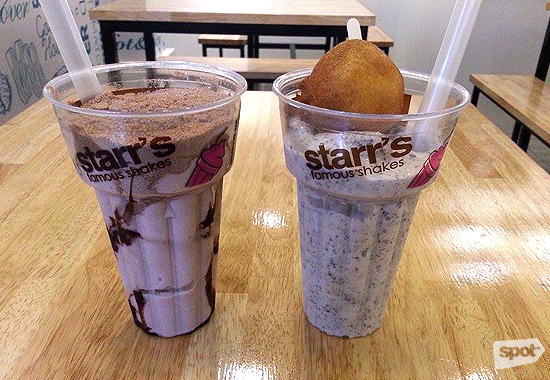 Starr's Famous Shakes shakes it up with a new branch and more flavors. 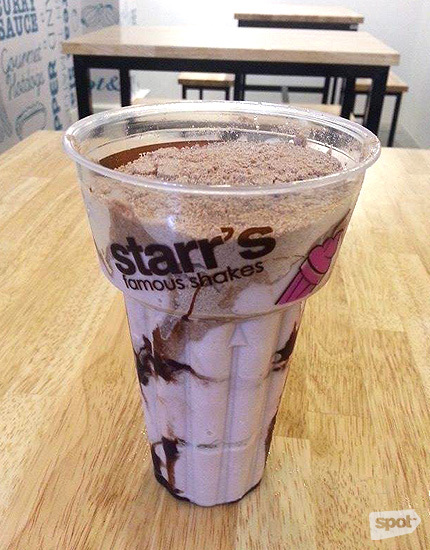 Open daily from 12 p.m. to 9 p.m.
(SPOT.ph) Once you enter Starr’s Famous Shakes, you’ll notice that the interiors are cozy and decorated with artwork of popstars holding their signature item. 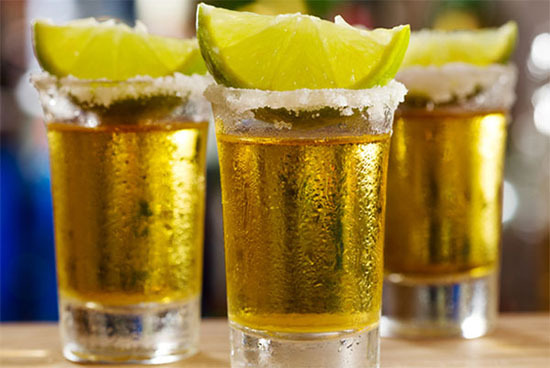 You immediately get the vibe that it's the kind of place where you can bring a small group of friends and talk for hours. “We were going for Americana. We wanted something that would translate to that because milkshakes are a classic American thing.” On what led them to this kind of design. 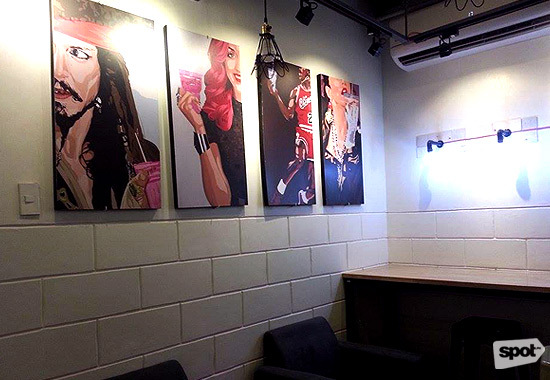 "Think modern-day Pop Tate’s from the Archie comics," says co-owner Cheska Del Castillo. 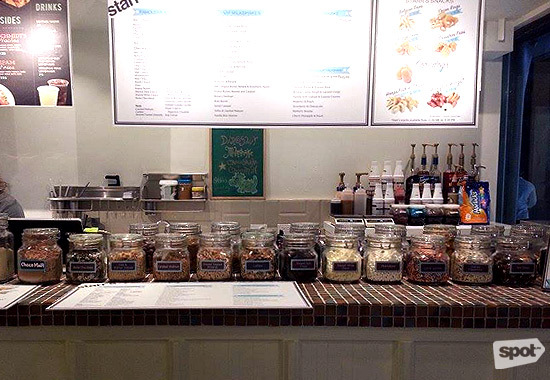 Their flagship flavor is the Caramel and Cookie Dough (P95) which prompted them to start selling the shakes as it was the time when cookie dough was all the rage. 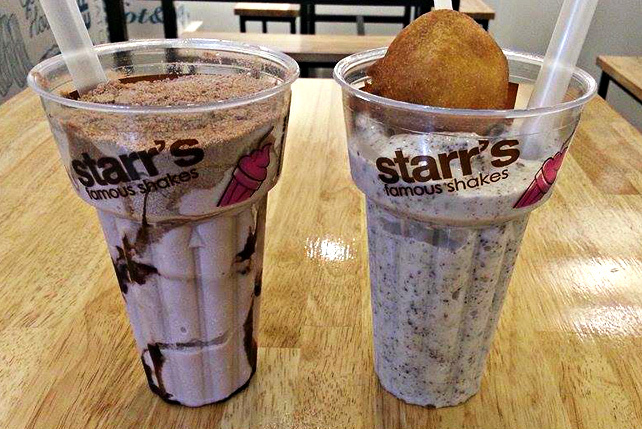 Starr's Famous Shakes has two new flavors: First up is the Oreo Pancake (P125). 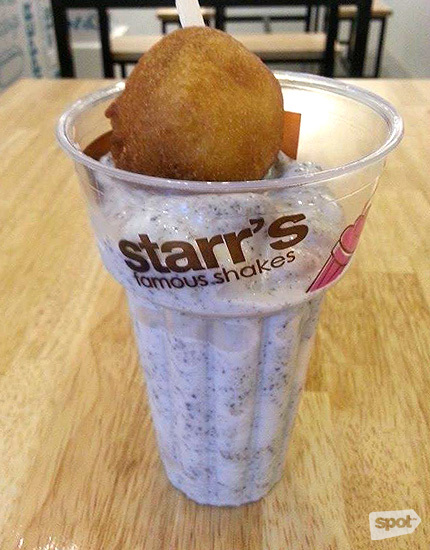 Take a sip from the milkshake version of the favorite college food fare: Oreo deep-fried in thick, goopy pancake batter. There are bits of it blended in the drink to give you a mouthful of Oreo Pancake with every slurp of the straw. And the best part? The drink comes with a one whole Oreo Pancake cookie that’s wedged into the side for dunking purposes. This cake shake is a sweet treat with flavorful texture. Then we have the Dinosaur (P125), the choco counterpart of their best-selling Retro Malt Horlicks (P120) milkshake. The Dinosaur is a malted shake that’s mixed with creamy vanilla ice cream and topped with a generous amount of powder that’s guaranteed to give you chunks of chocolatey goodness with every sip. “I like it when you sip the straw and nagbubuo-buo 'yong malt,” shares Cheska. We couldn’t agree more. Think back to that chocolate malt drink you’d chug down as a kid while watching cartoons. Remember enjoying the chewy chunks of powder that weren’t fully dissolved in the drink mix? You will have a similar experience with the Dinosaur milkshake. It’s chewy, chunky, powdery, and creamy in all the right places. 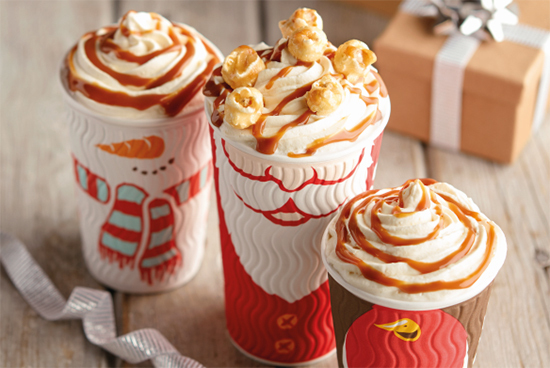 This dessert drink is available exclusively at the Greenhills branch and you won’t find it elsewhere. And while you’re there, you can balance out those sweet shakes with savory snacks. There are mini Corndogs (P50) with cornmeal batter that’s crispy on the outside and fluffy inside. 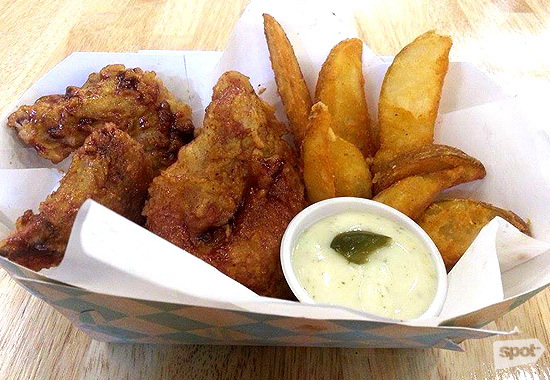 Or how about some Wedge N Wings (P125)? Bite into the crispy, crunchy coating of these sweet and spicy wings that are cooked and drizzled in cherry cola. The basket is served with a side of potato wedges and a jalapeño dipping sauce (for just the right amount of heat). Click here for a list of Starr's branches.